Though news of the Jaguar XS has been scarce recently, we do know the British car manufacturer has not been sitting idly by. For the 2019 model year, Jaguar’s F-Type lineup will come standard with their brake-based torque vectoring technology. “The revised Jaguar F-Type boasts a number of updates, including a bigger infotainment screen, special paint and torque vectoring”, reports AutoExpress. In addition to the listed changes, the 2019 refresh also comes with a new naming structure that’s power based. What used to be the entry-level trim will be badged F-Type P300 and the two V6 powered variants will be dubbed P340 and P380. 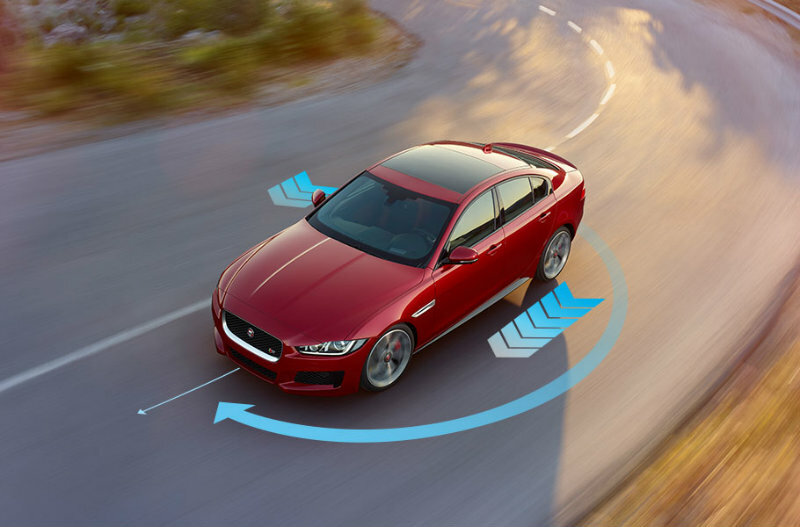 Most importantly, Jaguar’s Torque Vectoring by Braking will be standard technology throughout the lineup. The system helps maximises control through corners by providing independent braking on the inside front and rear wheels, thus ensuring your car won’t roll over of slip while turning. Already featured in every XE trim available, it is very likely to appear as a standard system in future Jaguar models including the XS. Let us hope Jaguar comments on the XS soon as we haven’t heard much since the company filed a trademark in Europe for “Jaguar XS” last summer. If it's already the standard for the basic XE, then I assume that's going to be the norm for every new model and update from Jaguar, which is great so long as it doesn't increase the price overly much if at all. I welcome any standard safety features that Jaguar wants to implement in their future models. We've seen how important they are in the sale of new electrics. Not a fan of their new naming structure however, don't need another automaker taking Mercedes' approach. They better include a rear wheel steering system in higher end trims because that's where they will face the challenge of living up to what the F-Type and other sporty Jaguar products have done for the brand. Always happy to hear about more standard tech. Don't know why its been so long since Jaguar has provided an update on the XS. It really looks like they have been focusing on their SUV lineup as of late, as there are rumors of another variant joining their stable, the J Pace. I think it has to do with their goal of making every vehicle an electric model by 2020 and with that comes the need for design to reflect it. There are only so many new models that they can/should release at the same time. With the E-Pace, I-Pace and Project 8 all being relatively new to the market, they probably didn't see the need to invest in a declining segment. Jaguar is one of those brands that are at a unique point. They can release vehicles that aren't actually needed, that no one asked for, but once they arrive, people want them. car makers that target cheaper segments simply can't do the same thing.